Yesterday's heavy-handed police action against the students of AJK University in Muzaffarabad reinforces the perception that any peaceful protest or agitation for rights in AJK will not be met by empathy or admission of the State's dysfunctionality. 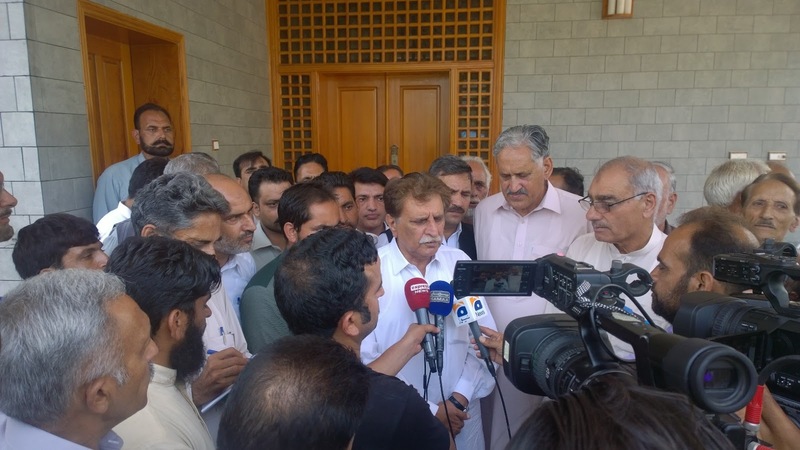 The sequence of repression and suppression of activists has increased during the tenure of Raja Farooq Haider (July 2016 and counting..), raising questions in various quarters of civil society in AJK which claim his posture to be increasingly brutal. In reality, there has been a tradition in AJK's governance to either avoid meaningful engagement on public issues or to suppress them with brutality. The current PML-N setup in AJK has allegedly accelerated that posture. 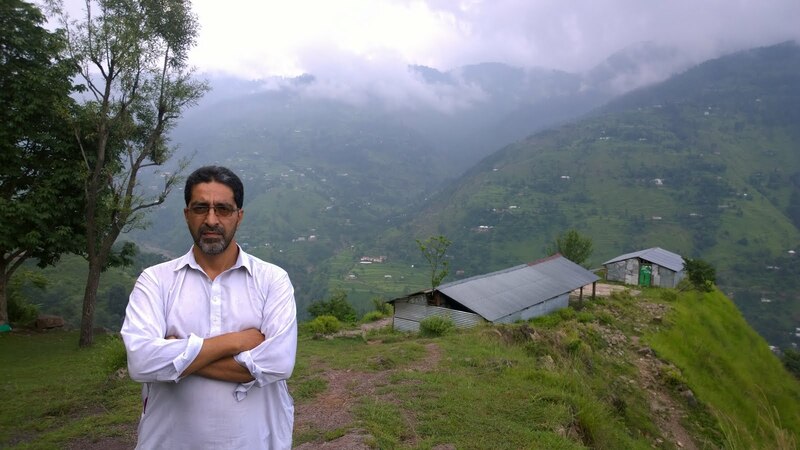 An increase in public awareness fuelled by social media tools is gradually exposing the AJK State's inability or reluctance to come to terms with its own self-imposed anachronism. We can even go back to an event in 2013 - when Raja Farooq Haider was opposition leader in the AJK assembly - where an awareness campaign to highlight the ignorance of AJK politicians to matters of governance in the territory was launched by Sardar Shamim Khan (of Zardari shoe-throwing fame) in April that year. As that campaign proceeded from Sehnsa to Khuiratta, the politicians of AJK were incensed at what they considered to be an attempt to disgrace them in the eyes of the public. That is true but most livid according to our investigation was Raja Farooq Haider. 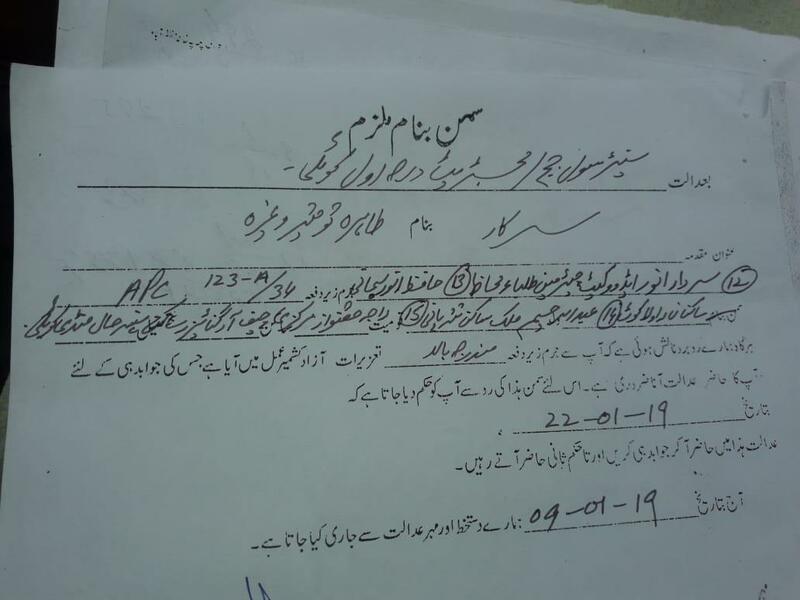 Sardar Shamim Khan alleges that when he was arrested in Khuiratta, the then SHO there Tahir Ayub was specifically 'ordered' by Raja Farooq Haider to "beat the hell out of Shamim" to ensure that he doesn't ever think of repeating such an action. On the morning after that "beating" of Shamim in Khuiratta police station (12/04/13), a large box of mithai (sweets) was sent from Sehnsa along with a messenger who passed on a message of pleasure and satisfaction from none other than Raja Farooq Haider. It should be mentioned here that when a report of the events at Khuiratta police station was sent to the British government (as Shamim was also a citizen of that country), upon their enquiry to the Pakistani government for their version of events, no response was returned to them (the British government) to date. Coming to his current tenure as the prime minister of AJK - beginning in July 2016 - there are a range of examples where his government has either conveniently ignored or physically suppressed any quest for accountability and justice on the part of civil society in AJK. He was prevented from entering Muzaffarabad in January 2017 and April 2018 to raise issues in public interest. After much civil society agitation and media attention, table-talks with the government of AJK broke down after the latter disowned their responsibilities. A detailed biography of Mahmood's struggle can be read here. On the 3rd of February 2018, this government teacher was punched in the face by then DC Hattian Bala Hameed Kiani while two policemen were instructed to hold him down. He had merely complained that the ban on smoking in public transport should be enforced. The professor was then hurled into a police cell. No action was taken against the DC. Over 4 months later, absolutely nothing has been done to resolve this issue. Despite an application, there was no case registered against the DPI (Director) college's staff or the perpetrators of this attack. Not even a departmental inquiry could be initiated against the rogue elements in the central directorate. Furthermore, the AJK college teachers association chose to remain a silent spectator on this issue. On April the 10th 2018, this writer (and activist) was prevented from conducting a hunger strike at Azaadi Chowk in Muzaffarabad. This peaceful activity was in response to the physical mishandling and mental torture perpetrated by the capital administration on Mahmood Ahmed Musafir. His only crime was to seek a sensible means of resolving 32 prevalent issues in public interest, unattended to by the government. My crime was of a similar nature and I have deemed it as yet another example of unjustified interference in public interest activity. 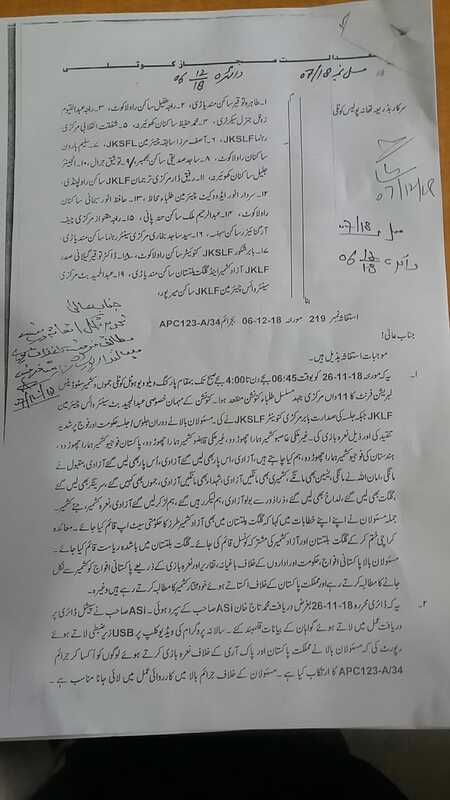 On the 4th of October 2018, the AJK police in Muzaffarabad were ordered to break-up a sit-in protest by their colleagues in the force who were demanding permanent recruitment orders promised to them since 2016. Some of these protesting policeman had been employed on a temporary basis for almost a decade, despite having the training and skills of their permanent colleagues. On the 14th of January 2019 this courageous young lady took her peaceful fight for merit in recruitment (for prospective employees in AJK's government education system) from her home tehsil of Baloch to Muzaffarabad. 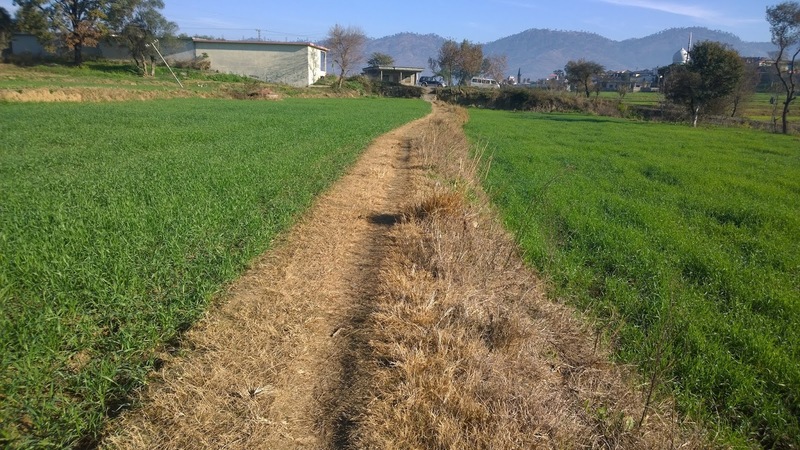 She had allegedly been ignored in favour of another candidate with political connections to the local member of AJK's legislative assembly, namely Farooq Tahir. The irony is that the latter also happens to be law minister in Raja Farooq Haider's cabinet. Within minutes of staging a peaceful sit-in protest outside the prime minister's secretariat, police swooped into action and literally dragged Sehrish's family (including an elderly uncle) and her to the local police station. On the 30th of January 2019 (yesterday! ), what should have been an innocuous issue in relation to the granting of parking space for the University, took a sharp turn for the worse when the AJK police became heavy handed with student protestors. Tear gas shelling (with a reported expiry date of 2002), baton charging and even the use of rubber bullets caused a conflict between the public and the police. Injuries on either side occurred in what is already a fragile environment in the capital. At times, what is needed is the most obvious yet anachronism in public policy keeps the powers-that-be blind and almost oblivious. This tweet has provoked me into writing on an issue that I'm still working on, not least because it requires a lot of meticulous sourcing of relevant data, that the occupier is trying his utmost to conceal. what #Pakistan gives to #POK? My current 'estimate' which will be refined in a report to be published in 2020, is that Pakistan earns at least 20 karab annually from AJK, which is 2,000 arab (2 trillion) which is 2,000,000,000,000 rupees. In British pounds that would roughly be: £10.9 billion at a conversion rate of 184. In US $ that would be almost 14.3 billion earned by Pakistan from AJK annually. What does it give to AJK annually? 108.2 billion rupees that is 108,200,000,000, which in British £ would be roughly 588 million or 773 million US $. A $14.3 billion return on an investment of $773 million - annually - would mean Pakistan is earning almost 20 times what it puts into AJK. - These are conservative estimates and the picture will become clearer the more we focus our research on the economy of AJK this coming year. - The AJK budget figure quoted above was what was outlined as a forecast in the budget session of the AJK Assembly in its 2018 session. However, the actual figure received annually is always lower than what is forecast. - It should also be noted that Pakistan's economic gains need to be offset by the cost of their military presence and other administrative expenses involved in controlling the territory of AJK. Having said that, AJK is from where Pakistan derives its relevancy in the J & K dispute, an alibi for controlling Gilgit Baltistan, de facto contiguity with China and a route to the Kashmir Valley. A similar analysis followed by a comprehensive economic survey of Gilgit Baltistan would also be eye-opening. Earlier today, Muzaffarabad was the centre of public activity once again. An issue over parking at the AJK University spiralled out of control when the AJK police used a heavy-hand against student protestors. The police took to firing rubber bullets and tear gas shells to control the public but it resulted in a lock-down of the city (University surroundings) for over 3 hours. Injuries have ensued and it is understood that the public - already fuming over various aspects of governance, particularly with respect to the environmental costs of Pakistan's hydro projects in the region - will resume its agitation tomorrow. I wonder what inspired the AJK PM to take the following step? 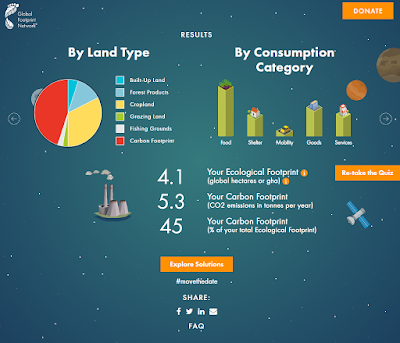 Meanwhile, it is about time I checked my environmental performance. Yes, I am pursuing public interest but am I preserving or destroying my environment? There is a lot of dissonance in our collective struggle - as erstwhile state subjects of an erstwhile autocratic Jammu & Kashmir - straining to become citizens of a reunited democratic Jammu & Kashmir. Most of us talk about a peaceful struggle, establishing a consensus and protecting an ethos that claims 'unity in diversity' but...........a lot of that dissonance is cognitive. The example of Mahmood Ahmed Musafir is perhaps most significant in this respect, not least because I've been fortunate enough to have the opportunity to document his struggle. His struggle is for the public, he desires nothing for himself yet is not willing to listen to the very public, who wish to strengthen his struggle by creating a public process in AJK, whereby his contribution would be a reference. He's adamant on wanting to go abroad to pursue his alternative electricity power generation model. He also wants to expose the inhumane governance system prevailing in AJK and Pakistan in his own inimitable style. He has suffered a lot, his struggle has spanned decades and he's been consistent. His efforts must be utilised in public interest and dividends achieved on behalf of the public. That cannot happen by the rest of us abiding by his strategy and him insisting on such. Collective wisdom must be garnered and a 10 member committee (corresponding to one public interest activist from each district of AJK) should assess his strategy and pass judgement as appropriate, for each stage of his consequent struggle. We even suggested that he decide who those 10 citizens should be but he declined to take that responsibility. Subsequently, 10 citizens were proposed who we considered to be likely to pass judgement in public interest. Mahmood Ahmed Musafir vetted each of them and agreed. However, he remains adamant on the public of AJK arranging a visa and other travel requirements for him to emigrate. We feel the problems of AJK need to be resolved in AJK. If indeed, he has the means to create alternative electricity, then that invention should emanate in AJK, with our public money which is otherwise squandered by the adherents of the Pakistani narrative in AJK. You can't create a masterplan to achieve your rights in a static mode. 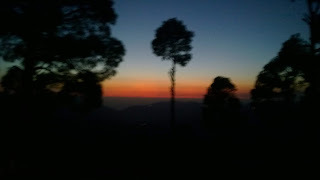 No plan however meticulous can be constructed theoretically, at least not in AJK or even in the rest of Jammu & Kashmir. Plans have to be improvised dynamically, as in on the run. Public activism is potent when it's live and happening in the physical space around you for all to see. Nothing productive can emerge from endlessly theorising or repeatedly theorising in the drawing room, however many people may be 'talking at each other' inside it. Yes, our people talk at each other rather than to each other. Everybody wants to share their experience and prescription for change. This is far more didactic than dialectic. No amount of planning can conjure up the seemingly 'intangible': determination, consistency, focus, sincerity, sacrifice, stamina and capturing/analysing/processing/measuring of collective wisdom. These traits have to be identified on the journey and utilised. Bold, clever, elaborate theory is nothing compared to what you gather in practice and adjust as you build momentum towards the goal that you are focussed on. Can our people (citizens of AJK) come to terms with our weaknesses and become part of something truly collective? - Our time is increasingly provided with competing choices in the modern age. - Our physical and mental efforts are bound between work and play. - Our resources cling to private interest at the cost of public interest. We seek a solution despite that and thus should be introspective about our limitations. If an incremental solution that consistently counters the forces of expansionism can emerge through the sequence of research > process > consensus > ownership then we should stake (own) our claim (share) in it. Glad that I'm progressing on a daily routine. There is hardly a day that goes by without an example of yet another feature of humanity that we are deprived of, surfacing. On meeting a local citizen at a doctor's surgery, I was informed that his mother had been bitten by a dog. There are no appropriate vaccines available in AJK to treat such injuries. He was told that they are rare in Pakistan too. After much searching, he was extremely fortunate to obtain a single injection in Rawalpindi. It is true - as intimated and elaborated on this blog repeatedly hitherto - that there is much to do in public interest in AJK and not enough time, resources and manpower devoted to creating a channelised institutional format for resolution. I can't devote my time to everything that travels passed my nose and neither can I adhere to every request made to me by the public in public interest. Yet, the demands on me are increasing by the day and I am struggling to explain the sequence involved in resolution, to the very people I've devoted myself to. Research > process > consensus > ownership is a sequential journey that the public needs to understand. We can't leapfrog the sequence or take short cuts. We can't have sleepy masses appearing as careless spectators or everybody jostling to be a spokesman for the cause. Social media may have turbo-boosted the level of awareness in people but that is of no significant value if the public cannot assist in creating a channelised institutional format, that can actively capture, record or write on public matters in real time and monitor its response by the State until resolution. If the public cannot get their own politicians to legislate in their name; who derive authority in their name and if the public cannot make over a 100,000 government employees work for their salaries paid for by the same taxpaying public, then it is impossible for the world or even our neighbours to take us seriously. I've invested a lot in research and activism (everything I had and as much as I could from those I knew). Crowd-sourced funding from the public, particularly since 2014 has given me enough insight to confirm that the resources needed to reach the destiny of resolution are here, there and everywhere (our citizens reside). They just need to be assembled and the qualified manpower needed to develop full-time public servants needs to be gradually multiplied. This doesn't require a new political party, organisation or movement. Neither does it require an ideology or physical masses of people staging a sit-in, which is practically almost impossible given the demands of society in the modern age. Every citizen can maintain their affiliations, ideologies and strategies as they see fit. All I ask is that they compliment this sequence of strengthening public interest against private interest, by contributing their bit to an effort that is collectively owned by the citizens of AJK, without exclusion. 1) Researching in the field as well as utilising online/offline mediums. 2) Assembling, analysing, categorising and protecting that information/data. 3) Assisting other activists in their public interest pursuits (Including citizens in GB, the Valley, Jammu and Ladakh). 4) Raising issues and engaging the AJK governing structure as well as regional and global institutions in a sequential manner till resolution. 5) Translating data/information as appropriate. 6) Strategising and improvising constantly according to the capacity of the public to digest activity conducted and information generated. 7) Preparing material for academic publication in foreign journals and global media. 8) Maintaining a public database with a view to preparing a genuine population census in AJK. 9) Sharing responsibilty for the maintenance and well-being of my family. 10) Working on maintaining my physical and mental fitness to sustain my efforts. 11) Maintaining a vehicle, bicycle and tools of technology for the work at hand. 12) Raising funds directly from the public to carry out all the above. Genuine change has been elusive in this region for 71 years. We have to be open-minded about strategy, realise that our strength lies in convincing each other rather than the world and finally that the solution is usually at the same location as the problem. @SushmaSwaraj It is has been suggested by n Indian citizen that I send a direct tweet to you n ref to the following case: https://t.co/jHRVw9QI4m Ejaz was blinded n a road accident n Pakistan 3 years ago & with no relief found, this gentleman seeks treatment n India. Pls advise..
A reasonably productive day. Some things came into sequence. Could do even better tomorrow. Ehtiyaat (precaution) is better than Ilaaj (cure). What costs Rupees with research can be far more effective than a cure that costs billions. A daily incremental routine can help avert decades of sourcing a solution. These thoughts have some parallel with addressing the political question of Jammu & Kashmir's future. If the subjects of this territory had taken certain precautions pre 1947, they wouldn't have had to endure the anguish of decades in limbo, struggling to construct a resolution. Converting autocracy to democracy within was an achievable 'precaution' - pre 1947 - compared to the ouster of 3 sensitive nuclear-armed neighbours requiring a Himalayan 'cure' in 2019. Yes, the mind can go absolutely blank for more than a minute or two...when trying to write a summary of the day. Sometimes it can even be difficult to judge one's own productivity. It can even take years to assess the value of a particular public activity. A more daunting question might be: What unit of measurement do you use to judge the value of any such activity? Despite the dreary drizzle of the past few days, life and public interest have to gallop on regardless. A lot of attention in AJK is being centred on Kotli at the moment, where 19 citizens of Jammu & Kashmir (including one each from the Valley of Kashmir and Gilgit Baltistan) were summoned in court today. The hearing was postponed (to February the 13th) - unsurprisingly - as the police had not completed their preparation, apparently! The script of the complaint is totally correct and complete according to the list of papers. Thus, the report is requested for presentation. All those responsible (liable to be questioned) said in their speeches that Gilgit Baltistan should also be given an Azad Kashmir type system of governance. That the Karachi Agreement should be abolished and a joint council set up between Gilgit Baltistan and Azad Kashmir. That the state subject rule be (re) established in Gilgit Baltistan. All those responsible as mentioned above made rebellious speeches against the Pakistani army, government and institutions. Through sloganeering they repeatedly demanded that the Pakistani army should vacate Kashmir and continued to be provocative against the State of Pakistan while demanding an independent Kashmir etc. That the diary of 26/11/2018 was handed over to Muhammad Taaj Khan ASI (Assistant Sub-Inspector) for the purpose of enquiry. It followed that ASI Sahaab (polite title in common use) took action on the enquiry as reported in the special diary and filed witness statements. A video clip of the annual programme in a USB (Universal Serial Bus - storage device) was confiscated and a report generated whereby the aforementioned (accused) in their sloganeering against the State of Pakistan and the Pak Army had provoked the public and perpetrated the crimes APC 123-A / 34. It would be appropriate to take action against those responsible (liable to be questioned individuals accused) according to the aforementioned crimes. 1) Anything in brackets is not part of the Urdu text and is used for ease of explanation. 2) The year has been written as 2018 for clarity whereas throughout the official Urdu document it was written as ‘18’. 3) The translator has focussed on finding as close an English meaning to each Urdu word as possible, whilst refraining from using additional words for emphasis and to avoid exaggeration. The State Versus Tahira Toqeer etc. 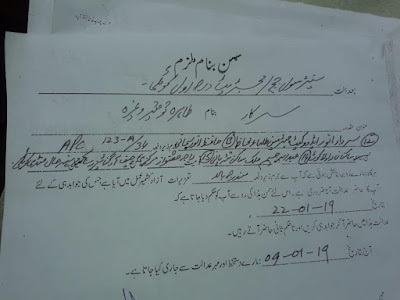 Since we have come face to face with a complaint that you have committed the offence(s) under clause - as mentioned above - for which the penal code of Azad Kashmir has been enacted, whereby it is necessary for you to respond by presenting yourself in court. Thus, in light of this summon you are ordered to appear on (date): 22/01/2019 at this court to respond and continue to appear until the next judgement (of this court). 2) The year has been written as 2019 for clarity whereas throughout the official Urdu document it was written as ‘19’. 123-A. Condemnation of the creation of the State, and advocacy of abolition of its sovereignty. Many thanks to the British Empire for continuing to breathe in the statute books of the Indian sub-continent and beyond. SOS International is an organisation described - in the hyper-linked article above - as representing displaced persons from Pakistani-occupied Kashmir (PoK). 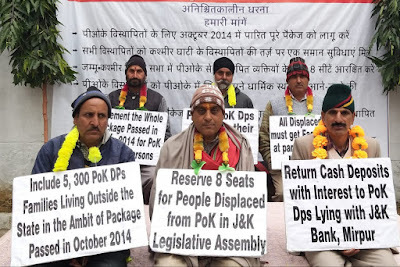 - Implementation of the whole package passed by state cabinet in October 2014, facilities to all displaced persons at par with Kashmiri Pandit migrants and reservation of eight assembly seats. - Seeking permission to visit religious places in PoK, inclusion of 5,300 PoK displaced families living outside the state in the ambit of package passed by the state cabinet and return of cash deposits of the people kept with the J&K Bank in Mirpur (PoK). You never know what's in store for you when it rains....you can certainly count on the possibility of electricity cuts, whatever else may or may not happen. Concentrating on publishing the academic (extended) version of the Citizen Public Opinion Survey Report is like swimming in an ocean with no shore in sight, at times. I have accomplished difficult tasks before but this will require a level of discipline, higher than any attained thus far. I also need new technology valued at almost £3,000. 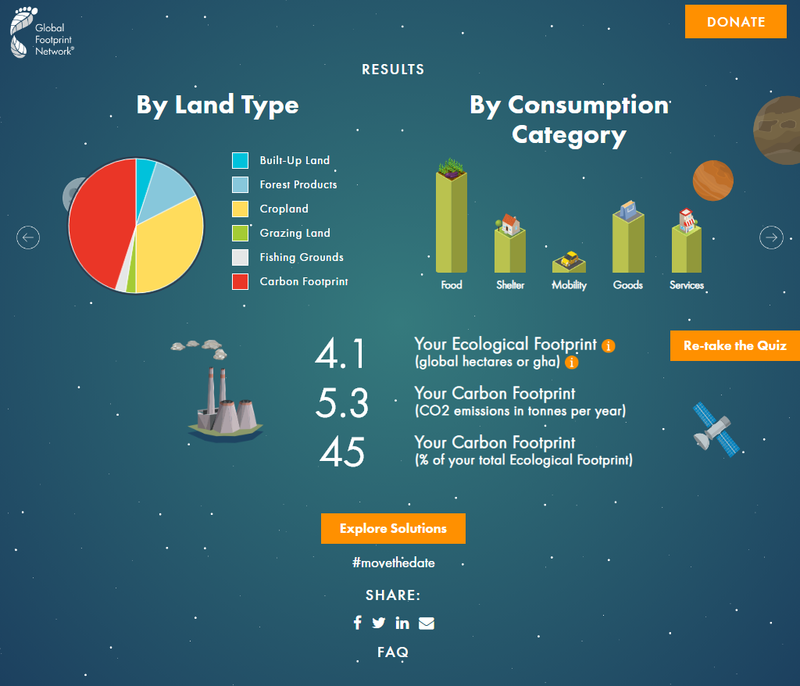 Citizenship projects do not cost the earth but are only achievable if the majority of citizens contribute a little but regularly (annually is the most even time period - at this stage). I also understand that most of our citizens are still having difficulties grappling with this concept. This is what I've suspected about the Indian partition in 1947 and all the unspeakable events that followed it. If we can be honest about our past we can design a much better future. Please Share this tweet & Join this movement on 29th Jan. 2019. It would be appropriate to translate the material on the banner from Urdu to English. This is an added dilemma viz. the communication dilemma in addition to the public interest dilemma. 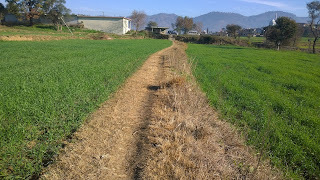 The English speaking generations of the AJK diaspora which were born and brought up in the developed 'West', appear reluctant to learn their mother tongue Pahari or even read or speak Urdu, while those born here, speak Pahari by default and learn Urdu considering it to be a more respectable medium but don't pay enough attention to English and its association with 'power'. In another banner related to this public activity, there is also a demand to refrain from diverting the River Jhelum and/or creating a tunnel between Saran and Kohalla. A four hour session in public today, after many a day in Dadyaal. Some people like to form a bleak picture but there's enough humanity in society, if you go look for it. I always come back home energised. Another day of less done than what needed to be done to reduce the backlog of material that needs to be uploaded. 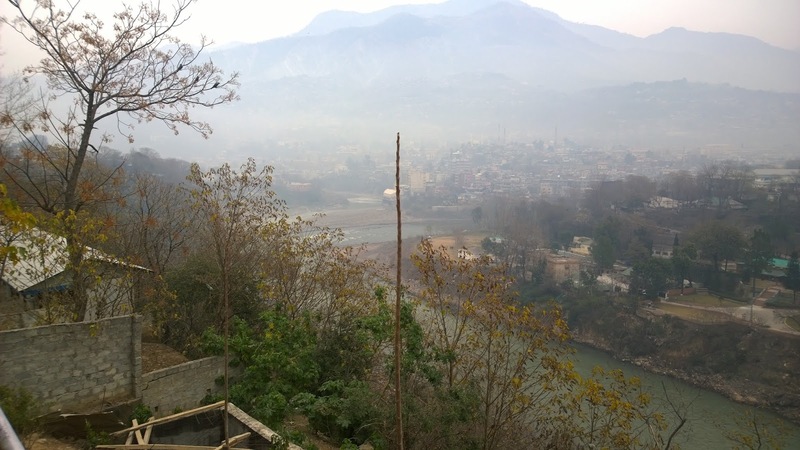 The Muzaffarabad administration of AJK takes an aggressive stance whenever it is confronted with issues of transparency, merit or accountability. It should be aware that the world is watching. I would suggest a ban on their travel outside AJK until they provide a conducive environment to address matters of national interest in Muzaffarabad, to the AJK public. Sehrish Sultan remains the discussion in AJK. Merit and the fact that a woman is agitating for it has caught the notice of many here and in the AJK diaspora. Students from various cities around AJK have come out in protest at the arrest of Sehrish for protesting against being ignored on merit for employment that she was entitled to. Her elderly uncle was also brutally man-handled by the police yesterday. Every day our public in AJK is powering towards a turbo-charged plateau, where prevailing public issues that have been highlighted in social media will far outweigh the capacity of the Government of AJK to address them. In her fight for justice (and meritocracy in particular) Sehrish Sultan had knocked on the doors of the High Court (of AJK) and had now reached the office of the AJK prime minister (PM Secretariat - Muzaffarabad). Within minutes of her sit-in protest the AJK police arrested her along with her family members. Protesting is a fundamental right of every citizen. There was a time I would reject those who were not of my faith. But now, my heart has grown capable of taking on all forms. That shall be the path of my faith. Ibn ʿArabi (26 July 1165 – 16 November 1240), full name Abū ʿAbd Allāh Muḥammad ibn ʿAlī ibn Muḥammad ibnʿArabī al-Ḥātimī aṭ-Ṭāʾī, was an Andalusian Muslim scholar, mystic, poet, and philosopher, whose works have grown to be very influential beyond the Muslim world. Of the over 800 works which are attributed to him, 100 survive in the original manuscript. Known as the "Ghost of #Himalaya", the snow leopard is highly elusive. So, I've just got round to deriving a percentage for my success rate in blogging daily, as became my intention on the first day of 2018. The answer is: 69.9%. So, like in most matters of public interaction, I am achieving a success rate of around two-thirds or more. What's the ratio for 2019 so far (we're already into Day 12! ): 41.7%. So, I'm already behind this year but am keen on breaking 80% this year. Let's see what's in store? Back home from home. From Muzaffarabad to Dadyaal. via the President of AJK: Sardar Masood Khan. Its at times like today that I'm ashamed of being an 'aspiring' citizen of AJK. The level of decadence in governance here makes me feel so. It took 10 days in all to revive my internet service. This time, it was of no fault of anybody but the public of AJK and me. There was much peace in these 10 days but not without heavy doses of patience. No internet to end 2018 and no internet to begin 2019. 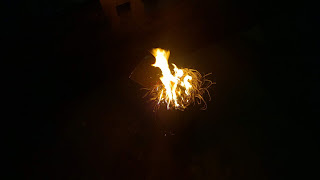 The weather was mostly dull, bitterly cold but plenty of wood-fuelled fire to compete with the icy winds and humans to compete with the imposed isolation of this territory. A lot can be said about the 2 experiences above but I think the spirit inside us all can help us reflect thoughtfully on our past and use that to develop a brighter future. At times, words sound like holllow rhetoric and simply cannot do justice to the emotions involved. All content (unless specified otherwise) belongs to the State in impasse. Awesome Inc. theme. Powered by Blogger.